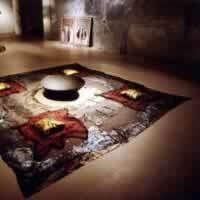 “Ritual Rug II” 1991 Amsterdam, Size: 300 x 300 cm. 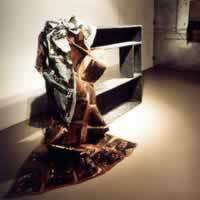 Since 1997 in the collection of Museum of modern Art, Kyoto, Japan. 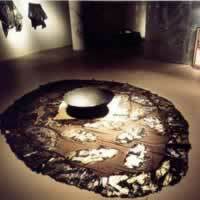 “Ritual Rug I” 1991 Amsterdam. Size: 300 x 300 cm. 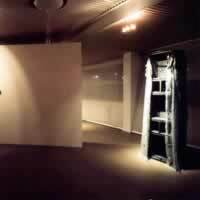 Since 1997 in the collection of Museum of modern Art, Kyoto, Japan.